Germans are known to take something and make it better. Marc took it a step further. He studied bodybuilding from every angle and constructed an almighty physique! When I was 18 years old, I walked into a local gym and found it intimidating. I became a member and started working out like other young people. The years passed, and my enthusiasm for training was limited. I had no experience with sports nutrition at this time. In retrospect, I can't believe I spent nearly 20 years working out regularly without the desire to be more ambitious. My body was toned, I had a well-developed six-pack, and muscular legs, but that was it; I didn't have anything else to hang my hat on. Up to age 40, I weighed 150-165 pounds (68-75 kg) and stood 5-foot-8 (172 cm). Everything changed during the summer of 2007 when I was asked to compete in bodybuilding competitions. The idea developed in my mind when I got home after the holidays. 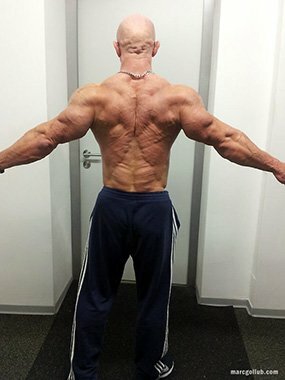 I found a competent coach who prepared me in the spring of 2008 for my first competition. I started a structured training and bodybuilding nutrition program and stood onstage for the first time in May 2008. I weighed nearly 168 pounds (76 kg). Since then, I've become more seasoned and serious. I prepare for a series of competitions once per year during spring or autumn. My training schedules change constantly depending on my circumstances. Everyone is different. My training schedule adapts to my changing requirements and my body. My typical training week looks like this. I train each body part once per week. Sometimes I train legs, chest, and back twice per week. My diet is non-linear. My calorie intake varies depending on the activity and my power level each day. If it's a hard day in the gym, I'll carb up (leg and back days). I make sure to consume the total amount of calories I need daily. I feel good about me and my body. I feel like I'm in my 20s. I love making improvements to my body at my age. I learned how to turn my body into a fat-burning, lean muscle machine with serious power. Bodybuilding made me to a better person. I learned to follow my goals and fight for my dreams. I'm motivated to have an extraordinarily healthy and strong body. Training is the best stress reliever. Anyone with a strong and healthy body is my inspiration. These reasons are similar to what motivates me. I want to live the bodybuilding lifestyle for my entire life and teach and motivate others to live the lifestyle also. I want to compete on an international level and win the NAC Universe in the next three years. Stay motivated and work and live on a schedule. 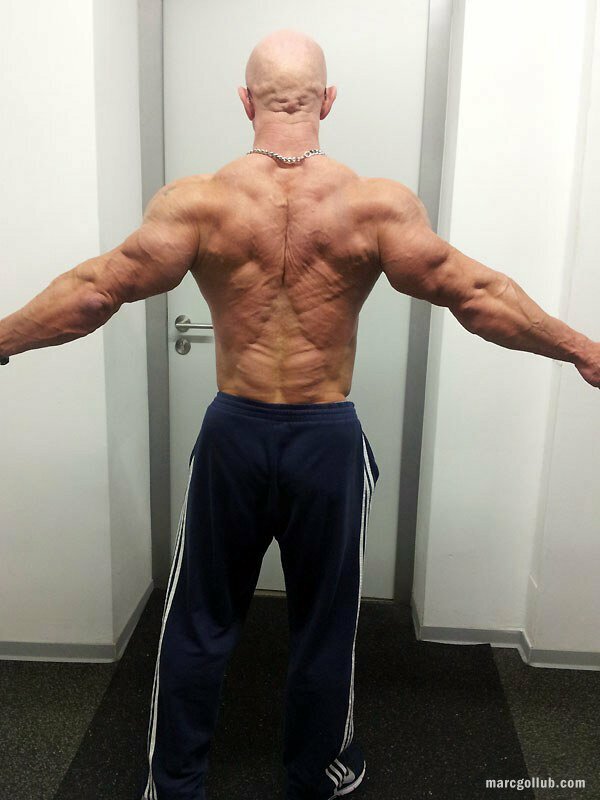 My favorite bodybuilders are non-pro level athletes like Thomas Scheu and Werner Zenk from Germany. The most important aspect about the site is its motivational content. I get pumped up reading about other athletes. The information on nutrition and training is astounding.